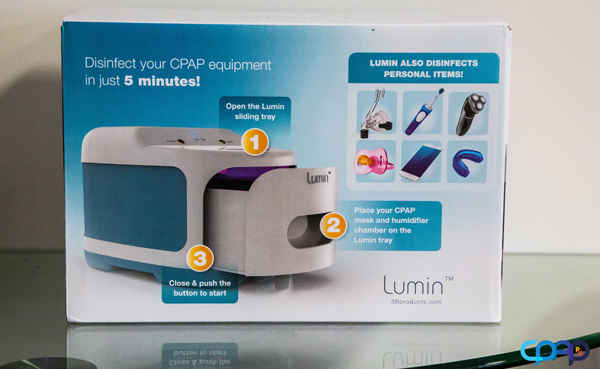 The Lumin is a healthy choice in CPAP accessory disinfection with a simple one-touch operation. 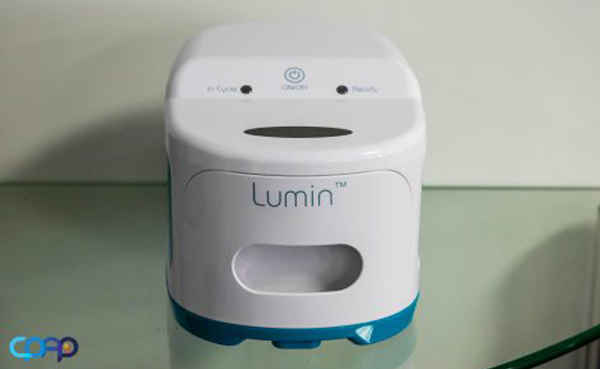 The Lumin device may be used with all brands of masks and accessories. 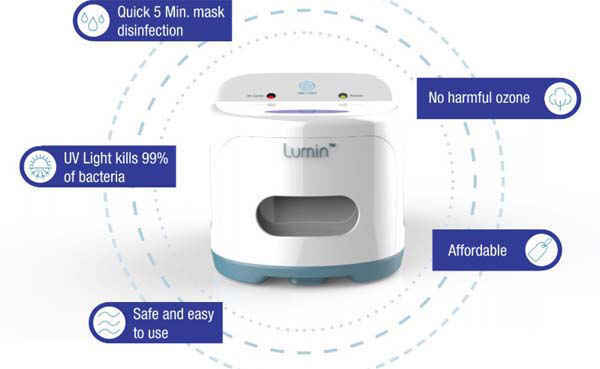 The Lumin disinfects using a very specialized and high powered UVC light source, the same type of light source used in hospital operating rooms and sterile clean rooms. 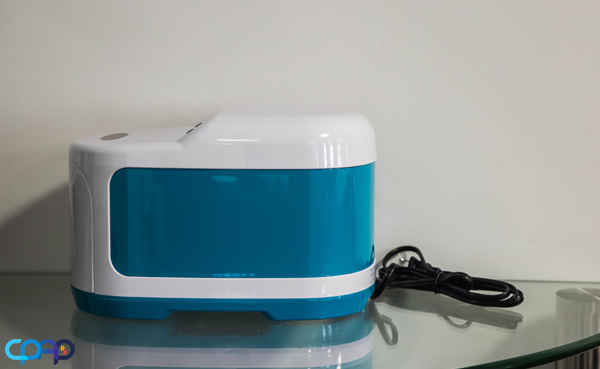 UVC light will disinfect up to 99% of harmful bacteria, pathogens, and fungi that can cause infection and illness. 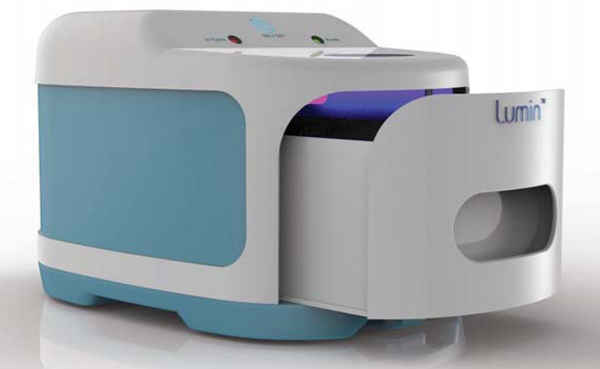 UV light is also the safest disinfection option on the market. 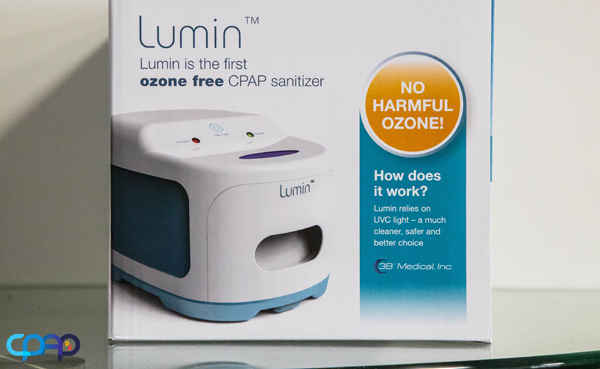 What is the Lumin and how does it clean my mask? an even more thorough disinfection. Hoses do benefit from Lumin disinfection, and the minimum recommendation of twice weekly will prevent the build-up of biofilm in the hard to reach areas. 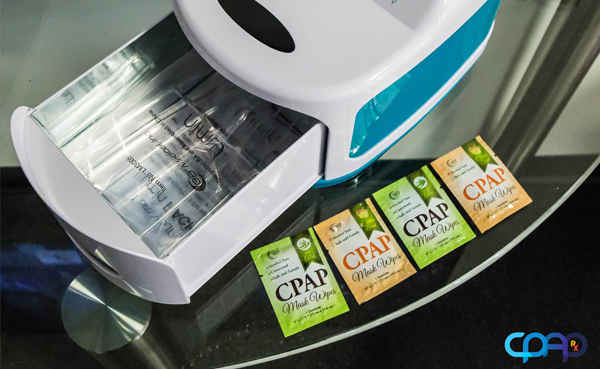 Maintain healthy breathing with quarterly replacement of your CPAP hose. 3B’s Ultra Noir CPAP hose is available. Lumin works by emitting high energy light within a narrow spectrum referred to as UV-C. The Lumin relies on a low-pressure, mercury arc germicidal lamp designed to produce the highest amounts of UV energy – where 90% of energy is generated around 254nm. This light is very close to the peak of the germicidal effectiveness curve of 265nm, the most lethal wave to microorganisms. 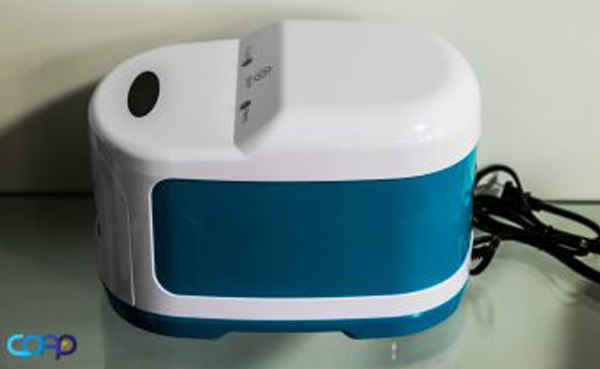 The dose of UV-C emitted in one 5 minute cycle is sufficient to kill most bacteria and mold on a surface. The use of UV-C is environmentally friendly, leaves no residue or toxic gases or chemicals. 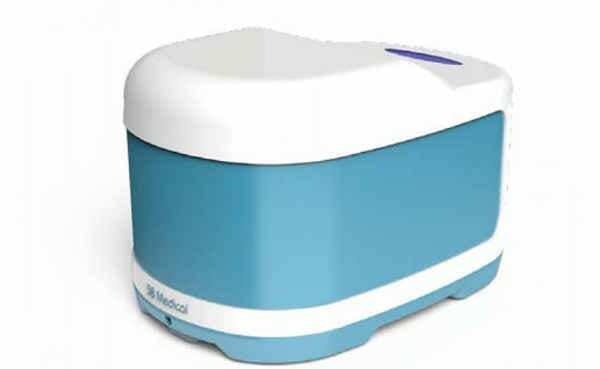 UV-C systems are currently in use to disinfect operating ooms, ambulances, emergency service vehicles and other high touch areas. Why should I disinfect my mask and water chamber? Moisture left in your mask or humidifier becomes a breeding ground for bacteria, germs, and mold. 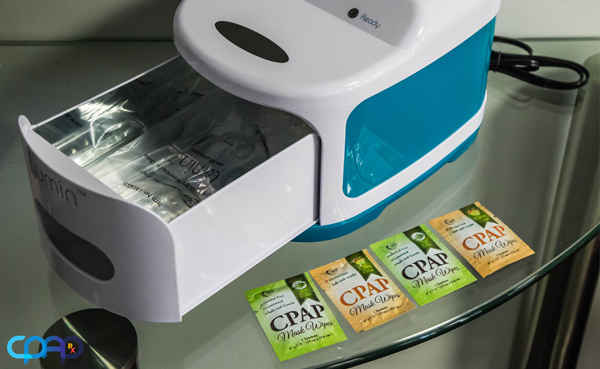 Keeping your CPAP mask and humidifier free of harmful germs and bacteria helps avoid getting sick from a dirty CPAP. Are there any supplies that need to be reordered? No. 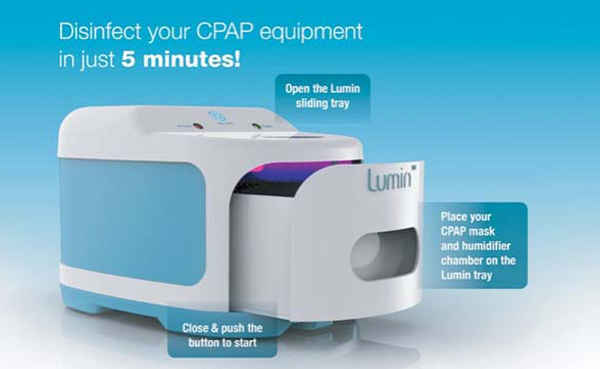 The Lumin requires no replacement supplies whatsoever. 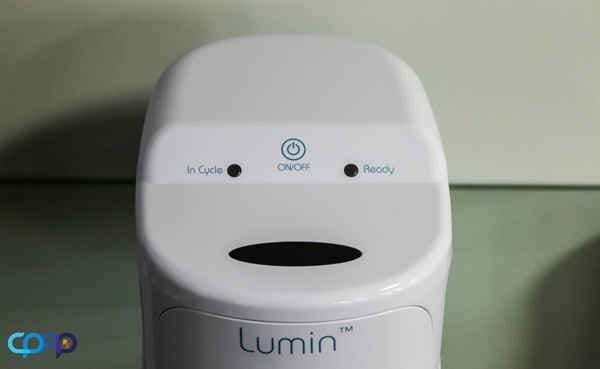 The Lumin relies on a special germicidal UV-C bulb that is rated to easily outlast the life of the device and should not require changing. In the event the bulb is damaged or does require replacement, low-cost replacement bulbs are available directly from 3B Medical. 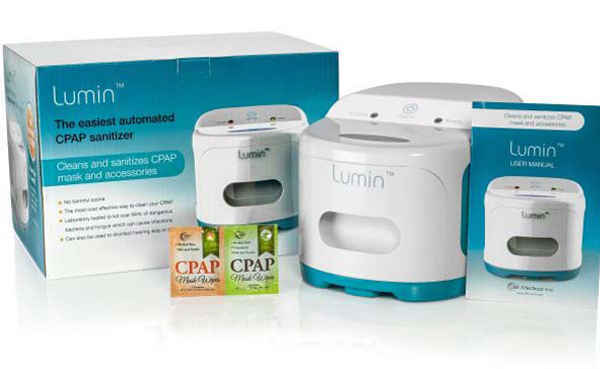 The Lumin can be used to disinfect anything from cell phones to baby items, it is not just for CPAP device but can be used to disinfect anything.